Retekra Industries has hit a new low. They are claiming now to have their own Director Retekra. Going so far as to lift my profile picture from this very blog. "Director Retekra possesses a unique perspective on the challenges inherent in advanced human cloning techniques and a wealth of knowledge gained from over a decade of working on the sharpest edge of science. 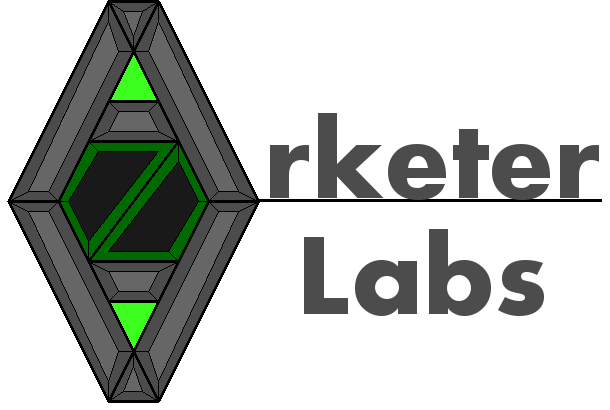 With his abilities and knowledge, Retekra Industries is certain to deliver whatever you need from this young scientific frontier." Every effort has been made to create a false history for this "Director Retekra" from a supposed educational career starting from the Texas Institute of Technology to what appears to be what someone presumes my educational background is. Over the objection of #0 I can confirm they were correct about my own graduation from the Texas Institute of Technology and the Dale Carnegie Institute. As for the rest, they were way off. I have not always made friends wherever I've gone, but I've made no enemies willing to change their name into a parody of mine so I am fairly certain this Retekra and I were never classmates. We've picked up a great deal of radio chatter. Groups of mercenaries seeking our facilities on 'Retekra's Information'. They've found nothing, but they keep moving with purpose. The information they are getting must be abominable, but they do not question it until their searches turn up empty. I am quite painfully balanced between intrigue and fury. There is something more happening here and it's killing me to have to wait. Perhaps this too is intentional, something else to suffer as part of this hideous mockery of myself and our work. Well, perhaps it is some comfort then that the end of days is upon us. It turns out the Christians were right and Jesus came back to herald the end of the earth. Behear! Lord Ray-El. 14 minutes of desperate crazy. Not to be confused with THIS Lord Rael, though. Lord Ray-El, apparently actually named Raymond Howard Lear, is apparently an abusive ex who somewhere around 2011 got it into their head that L. Ron Hubbard Claude Vorilhon had the right idea and decided to see how far he could get with arbitrarily declaring himself the savior of Mankind. 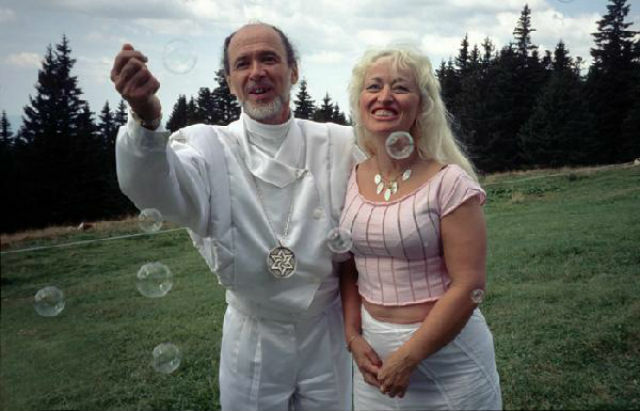 Unlike the mysteriously successful Raelian Founder however, about the only people to take them seriously were Youtube Conspiracy Truthers- and even then only to expose him. Many other videos go on to label him as an Illuminati pawn, but that is rubbish as Illuminati pawns tend to be relatively successful until they get uppity and are replaced discreetly. The best thing Ray-El has going for him is that his website continues to be running. If you can't trust The Holy and Apostolic Order of the Temple, who most certainly weren't made up on the spot, who can you trust? Curiously, Not-Jesus here remains quite active and is one of the few modern false Messiahs you can follow on Twitter. 7,516 followers. 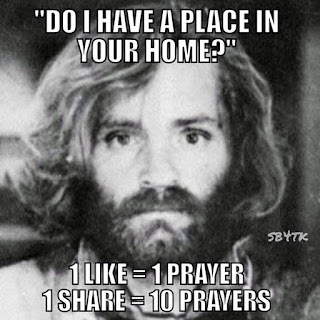 Rather low for the man who handed out the cure to Alzheimer's yet rather high for a delusional beard model. Ancient Monk Scribes used to discard their writing implement after writing God's name and get a new one out of respect. Rayel's Knights can't even be bothered to get their own Twitter Account. 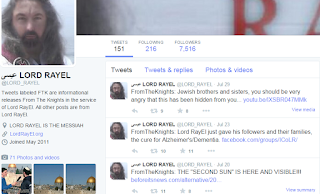 Good luck trying to get converts by pretending to cure your followers of alzheimers in a tweet, Rayel. 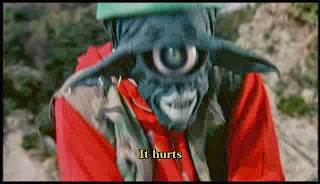 There's just no competing with those production values. This isn't Jesus, if you were terribly knowledgeable about Jesus' origin your first hint would be it's not a middle-eastern gentleman of jewish descent. If you were slightly less knowledgeable, you would recognize a young Charles Manson. This was created for sharing on Facebook and the like by the mysterious SB4TK, and I think it truly deserves to be.